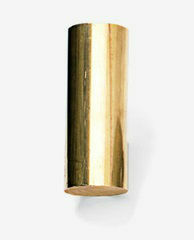 Cut A billet of brass is cut from bar stock of the correct diameter. 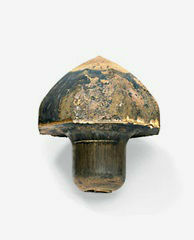 Forged The knob’s shape after the heated billet is pounded into the die. Trimmed A stamping press takes off the thin metal skirt leftover by the forge. 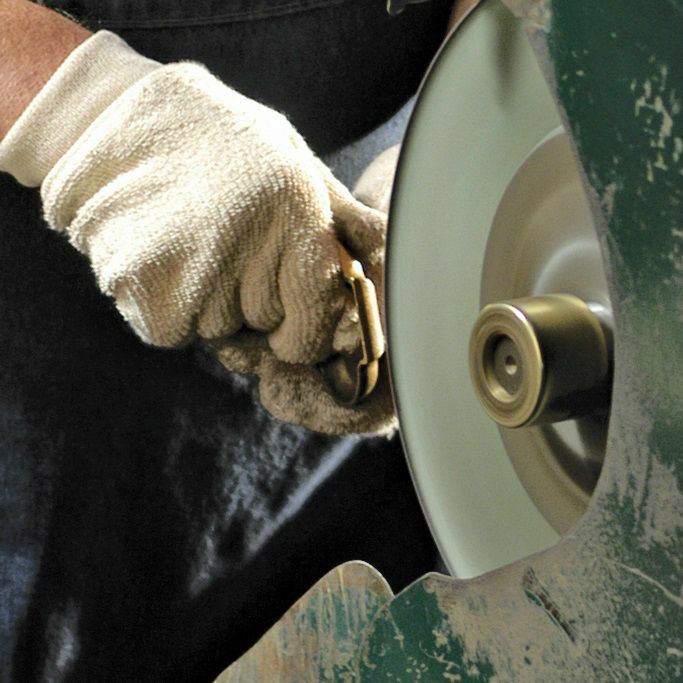 Ground An abrasive grinding belt strips off forge oxidation. Polished Polishing wheels smooth away the grinding marks. Before the hardware takes it shape, we begin with raw bars of solid brass. 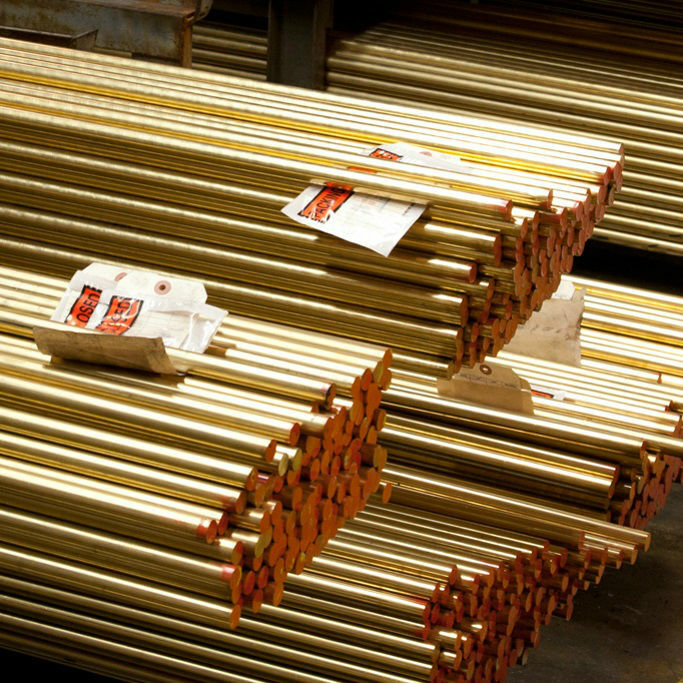 Brass is a highly dependable and durable metal that naturally resists corrosion. 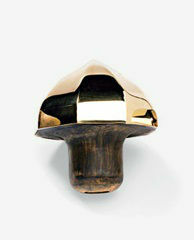 Holding a piece of solid brass Baldwin hardware in your hand, you will immediately notice the difference – it is heavier, stronger, and smoother than hardware that is made of aluminum or plated steel. Skilled artisans transform raw brass to beautiful hardware through an age old and time-tested technique known as heat forging – pounding hot metal into a specially made die. 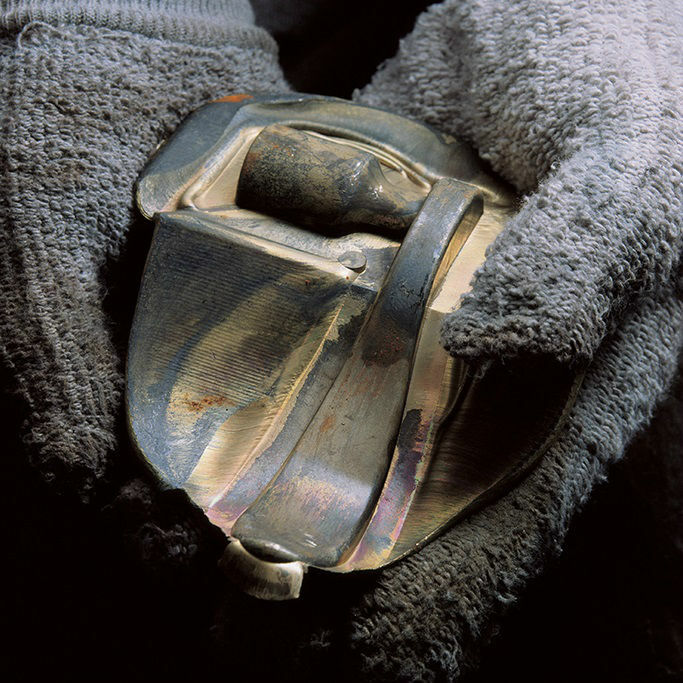 In contrast to the simpler forging technique known as casting, heat forging requires more intensive work and careful attention to detail, but it produces stronger, heavier products. Before the hardware can be finished, it gets a trim. 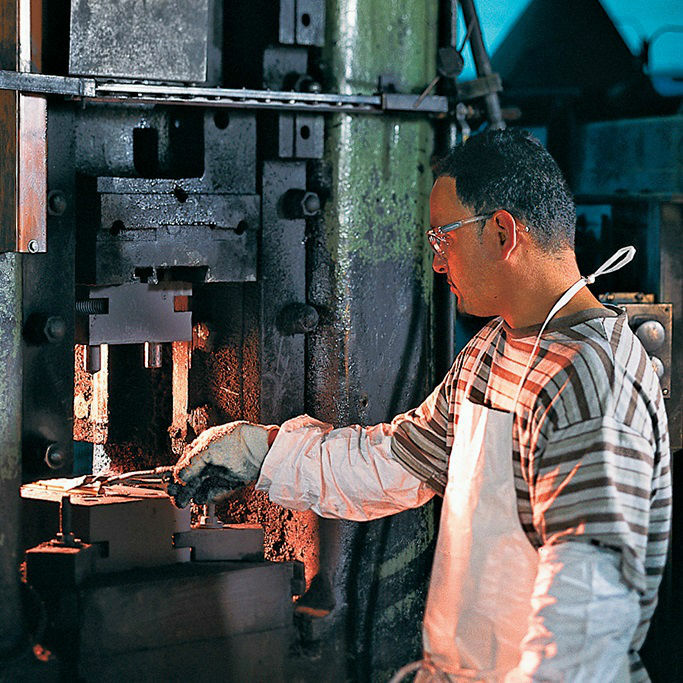 Skilled operators work the stamping press that trims the extra metal left by the forge. Then, another machine grinds the surface to remove oxidation created from the forge, revealing the smooth metal. 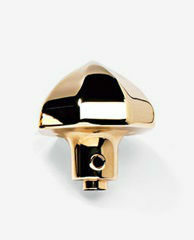 Baldwin hardware comes in a full spectrum of over 20 lustrous finishes ranging from glossy to matte, smooth to textured. Depending on the desired look, whether clean and minimalistic or well-worn and vintage, the hardware will go through a very different process. In the final step of production, our hardware goes through two stages of polishing – the first to thoroughly remove any imperfections such as scratches or nicks and the second to buff the hardware to a flawless shine. 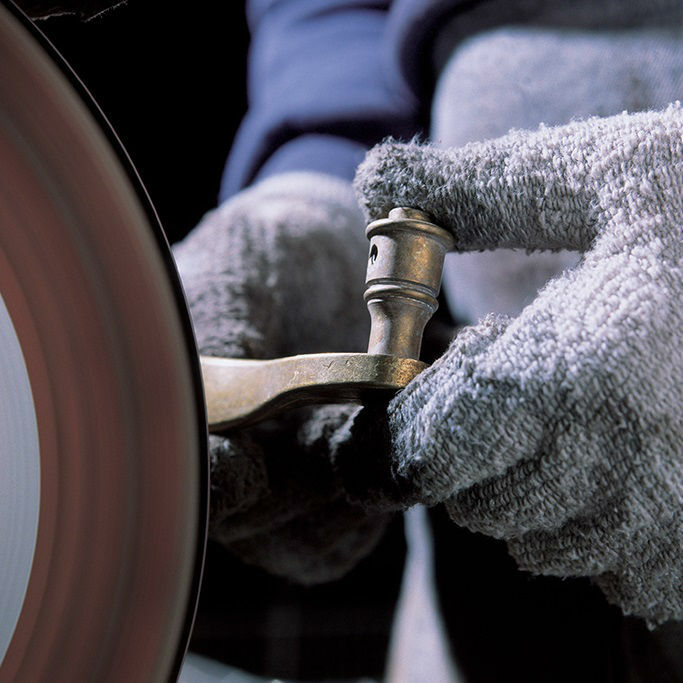 In the first stage, fast spinning wheels wipe away potential scratches left by the forge. 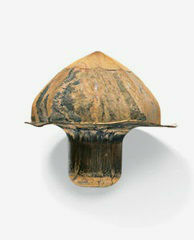 Then jeweler’s rouge is used to carefully buff the metal.